Time for an oil change? We complete oil changes as a standard part in many of our auto maintenance services, however we can also provide one-off oil changes for small fees. 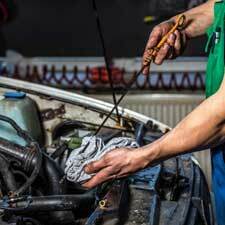 Fred’s Auto Center has been helping the people of West Haven, CT maintain their vehicle’s with quality auto services including oil changes for over 20 years. With over 20 years experience and ASE certified technicians we are an auto garage you know you can rely on to get the job done right, for an affordable cost!